This Charity supports families who have children aged 2-25 with severe and complex needs in Wolverhampton and the surrounding areas. 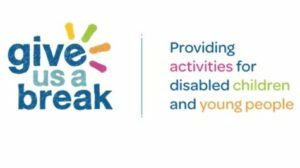 The children and families that this charity supports have more complex and severe disabilities who often need one to one care and cannot attend other groups or mainstream activities. These groups tend to be the most isolated. Providing safe and supportive environments and activities, mostly during weekends or school holidays involving all the family are what this Charity is all about. Many of the children require a secure setting that is wheelchair friendly and has hoists and a changing place, so they hire venues which are accessible and have access to these facilities. They welcome siblings, carers and other family relatives to join them in these activities and some examples of the activities they do are supportive coach trips, exclusive swimming, exclusive cinema screenings, hire of a special sensory centre, sensory adventure playground sessions, music therapy, animal therapy and craft sessions. The charity tries to cater for a wide range of needs and disabilities. Their small committee is run entirely by parents and carers of children with disabilities who are all volunteers. All money raised helps them to fund these much needed activities.